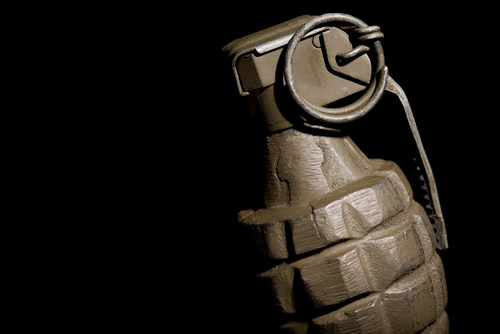 The company responsible for the creation of Grenade Thermo Detonator claims that this product is specifically designed for the military, which makes it more promising. On the other hand, whether it was adopted by the military or not, is unknown. Still, this product asserts to be created with the ultimate formula to burn fat once and for all. Upon seeing Grenade Thermo Detonator, you’ll instantly see how distinctive its bottle is, because it is shaped in the form a grenade. Creativity wise, this is really a good idea, but this does not apply when traveling as you might get a run-in with the law. The product’s manufacturer takes pride in its accomplishment as it states that Grenade Thermo Detonator is one of the growing weight loss products worldwide. In fact, Grenade Thermo Detonator is available in more than 130 countries. It is important to note that Grenade Thermo Detonator is filled with stimulants, so if you’re sensitive to such components, then taking this product is not a good idea. To be specific, Grenade Thermo Detonator has caffeine, synephrine, and a lot of other stimulants. These aren’t suitable for those people who have a history of heart problems. To be sure, check with your physician if you had hypertension, angina, or other heart ailments prior to using Grenade Thermo Detonator. Being potent, Grenade Thermo Detonator is mostly used by bodybuilding enthusiasts. These are the people who want to cut their body fat percentage by consuming metabolic enhancers. This is, of course, mixed with a caloric deficit diet, which severely lessens their energy consumption. This then affects their workout performance; this is why a fat burner is required to lessen the period that’s necessary for cutting. Essentially, Grenade Thermo Detonator has a lot of components, but the exact amount in every serving is not disclosed. This hinders customers from making an informed selection. The company that developed Grenade Thermo Detonator says that this product can be used as both pre-workout supplement and fat burner. Based on what we’ve learned, Grenade Thermo Detonator is absolutely filled with components utilized by the greatest fat burning products. On the other hand, the company chose to keep the precise quantity of each serving to themselves. This hinders customers from making an informed choice.